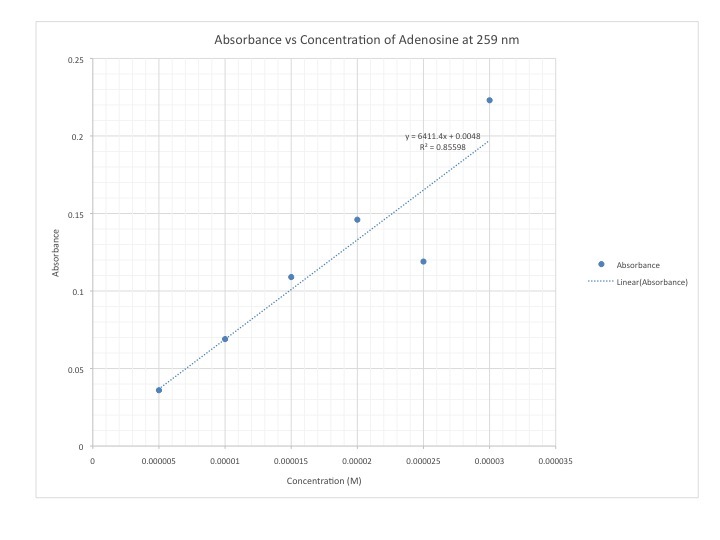 Finding the molar absorptivities of adenosine and inosine. This will help later on in studying adenosine deaminase (ADA) which converts adenosine to inosine.. The structural differences between the two molecules is that adenosine has a primary amine while inosine has a carboxy group. Using the formula: M1V1=M2V2, the amount of stock solution needed was found. A UV-Vis was ran from 800-200nm. The absorbance and calibration curve were done through the data collected on the UV-Vis. 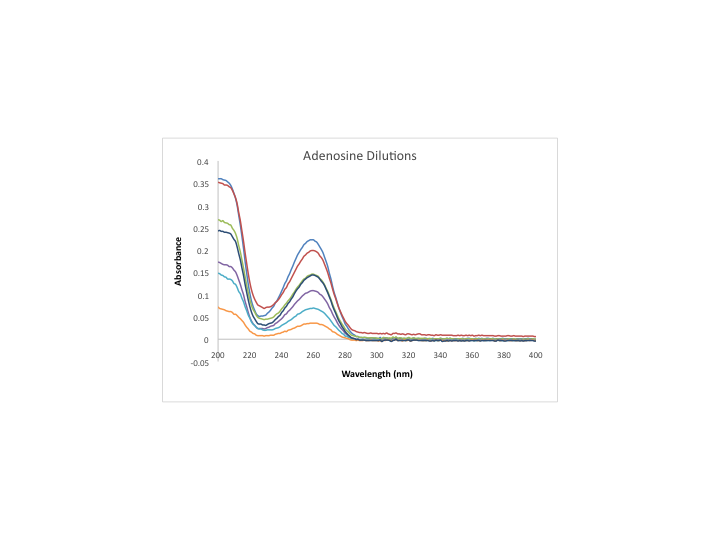 The peak of Adenosine was at 259nm and the calibration curve was calculated off this wavelength. There was not enough time to run the UV-Vis on Inosine. 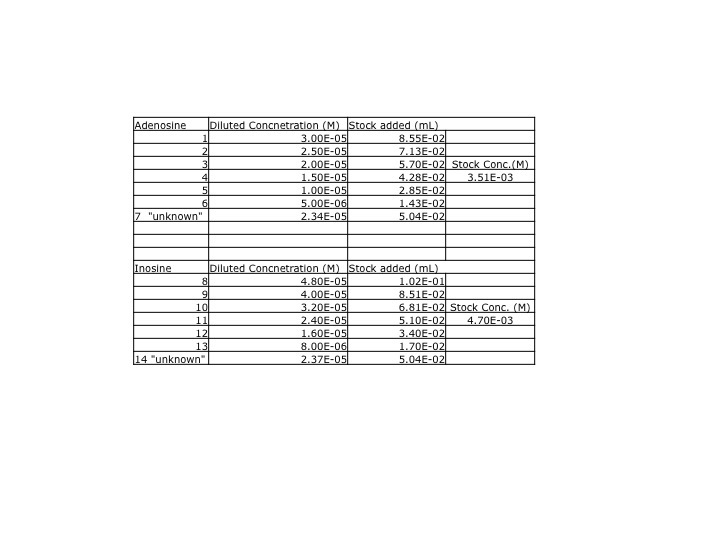 Stock solutions and dilutions were stored for 9/4/2013.